The book industry has never been shy of using a marketing stunt or two to publicise its wares, and these days it puts a lot of its efforts behind World Book Night, when it gives away a lot of free books. At the end of 2010 it launched what I think was the first World Book Night, with the catchy slogan ‘The largest book give-away ever attempted’. 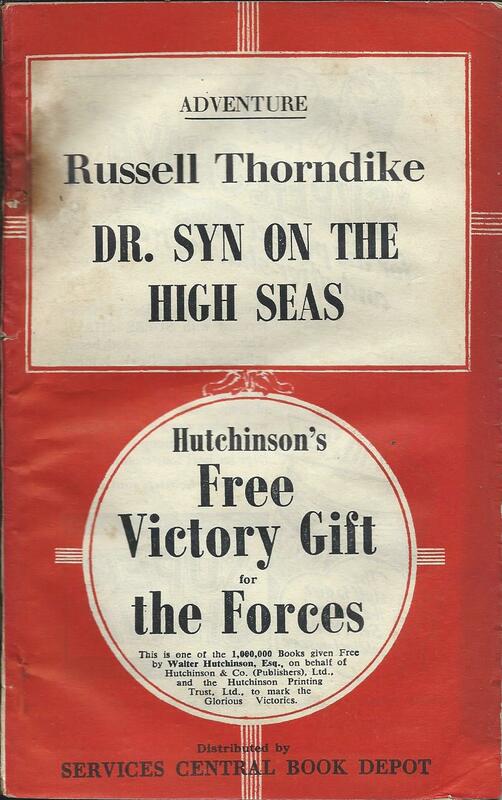 It was nonsense of course, and at the time I suggested a comparison with the Hutchinson Free Victory Gift promotion in 1945, when a single publisher gave away as many books as the whole of the book industry was planning to do on World Book Night. 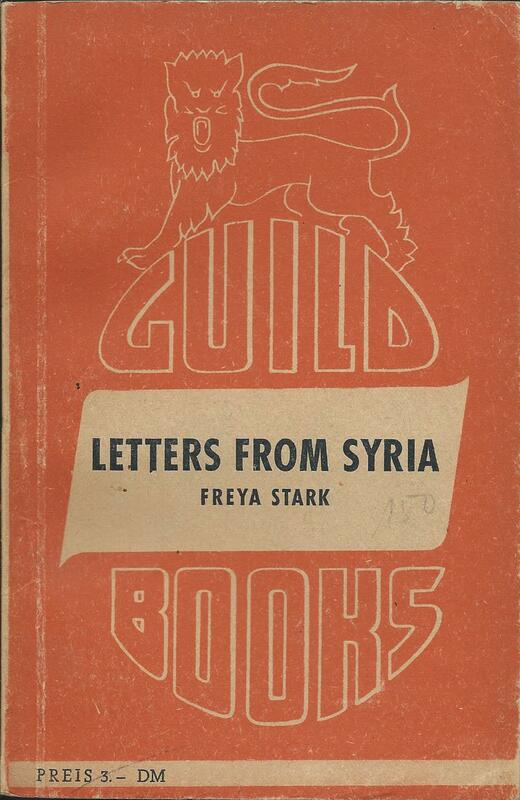 Arguably the entire programme of Services Editions during the Second World War was an even bigger book give-away, indeed on a totally different scale. But there the comparison is getting a bit strained, because although the books were issued free and strictly ‘not for sale’, the publishers were still being paid for them in one way or another. 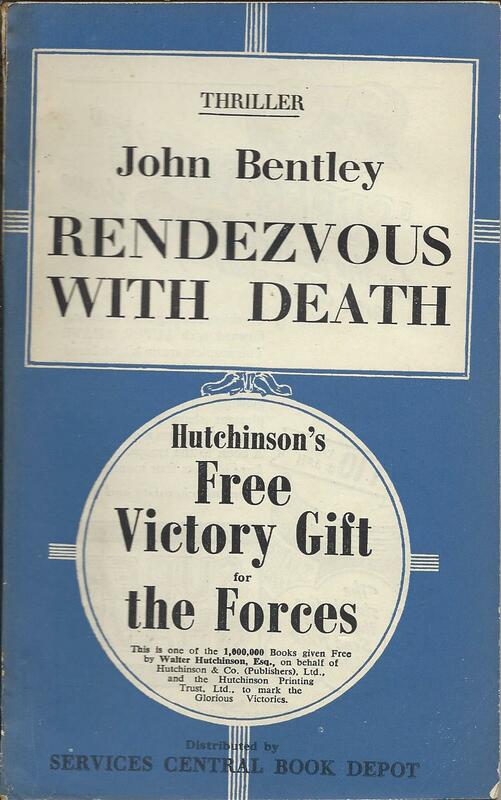 Hutchinson’s Free Victory Gift for the Forces however appears genuinely to be a publishing group giving away a million books for free. It was a stunt too of course, no doubt done with more than one eye on the publicity to be generated from it, but even so a remarkable gesture and one that doesn’t seem to have come with any catch. You didn’t have to sign up to a book club, or (in modern terms) give your e-mail address and risk being bombarded with junk mail. You didn’t have to show any evidence of previous purchases. The books were simply offered for free to the armed forces through the Services Central Book Depot, to mark the ‘Glorious Victories’. I’ve never been able to find any records of what was given away or exactly how, so I can only judge from the evidence of the books themselves. And it’s not easy to find them. 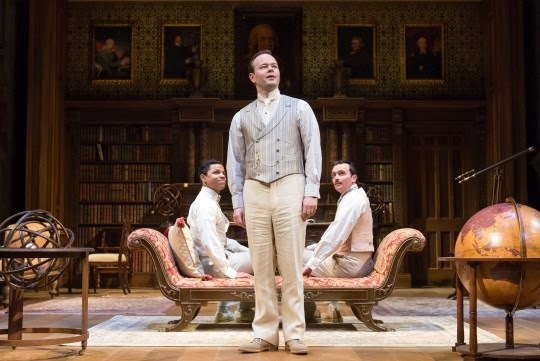 You wouldn’t believe how easy it seems to be to make a million books disappear. In more than 25 years, I have found fewer than 20 copies and heard or seen reports of a handful of others, to make up a total of 30 known titles. I suspect there may be many more out there to be found, but it’s certainly possible that of the original million books, no more than a few hundred now remain. They’re printed on poor quality wartime paper, were probably sent all round the world to some pretty inhospitable environments, and the vast majority have just been thrown away. There is a standard cover in various different colours specially printed for the give-away, but the books themselves don’t seem to have been specially printed. They were just existing stock given a new cover, and so it probably wasn’t really a series, it was just whatever happened to be on hand at the time. It may be that there were 50,000 copies of one book and only 10,000 copies of the next, and it may never be possible to establish a full list of titles. I’d still like to get as much information as I can about them though, so if you have any, or know anything about them, please get in touch. 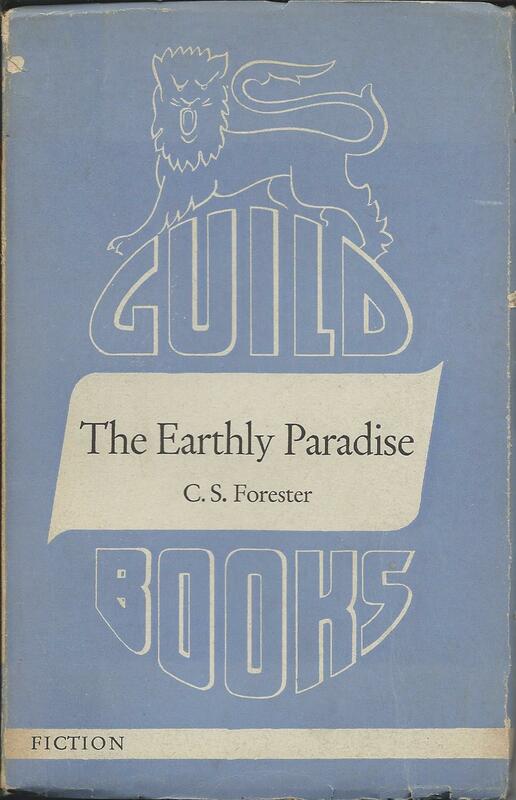 The two longest series of UK Services Editions, from Guild Books and from Collins, between them account for almost 400 of the 500 or so books that exist in total, at least in paperback. In comparison with those two, Hutchinson were a minnow. But they still produced a series of over 30 Services Editions as well as offering a million other books to the forces as a free Victory Gift. 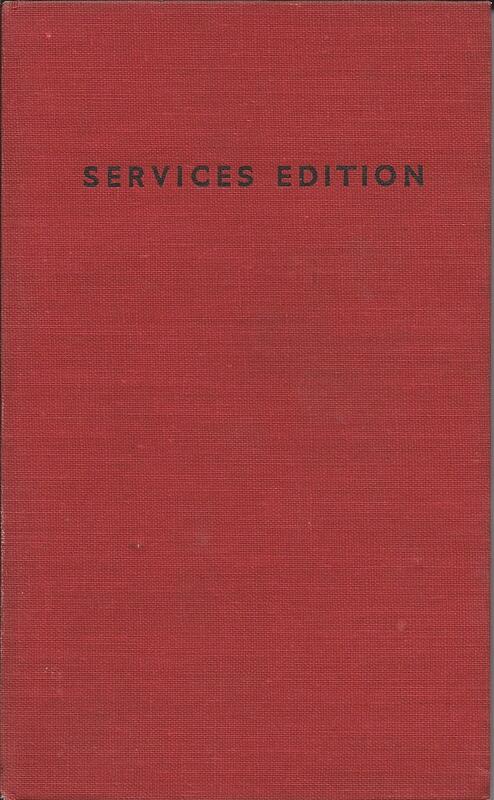 Although the Hutchinson Services Editions appear to be a consistently branded series, this hides the complexity of the underlying businesses. 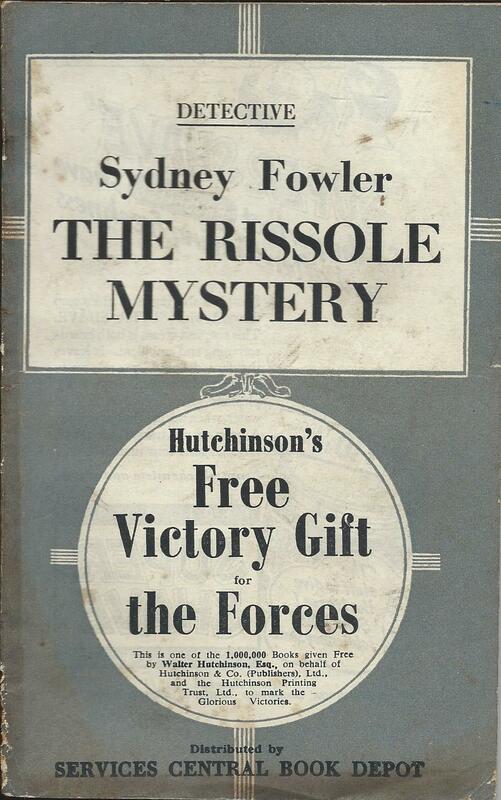 Having been mainly a publisher of magazines, Walter Hutchinson, son of the original founder, had switched the direction of the firm into books and by the start of the Second World War seems to have built it up into quite a mini-conglomerate of publishing businesses. It included amongst others, Hurst & Blackett, Jarrolds, John Long, Stanley Paul, Rich & Cowan, Skeffington and Andrew Melrose. It also operated through a bewildering variety of paperback imprints including Toucan Books, Jarrolds Jackdaw Library, The Crime Book Society, The Leisure Library, Readers’ Library, Four Square Books and so on, as well as several different series using the Hutchinson brand more directly. What the marketing logic was behind such a variety of different brands and series, is completely beyond me, but at least for the Services Editions they left most of that behind and brought order from the chaos. Not entirely, because the books still carry different series names on the front cover and different publishers’ names on the title page. For instance ‘Rapid Fire’ by Joan Butler is headed ‘The Toucan novels’ on the cover, and is published by Stanley Paul & Co. Ltd. But at least the cover design is standard, the books clearly form a single series and they are listed together in the advertising pages within the books. Those lists within the books also mean that for once we do more or less know what exists in this series. There are 33 books in the series, including 15 from the Hutchinson’s Pocket Library, 7 from Jarrolds Jackdaw, 7 from Toucan Books, 2 from John Long Four Square and 2 from Skeffington’s Pocket Library. They’re produced to War Economy standard, so very poor quality paper and production, but a surprising number seem to have survived and some of these books are less rare than other Services Editions. This may be because they come from Iater in the war, possibly around 1945, although the books are undated. I don’t know how many were printed, but comparison with other non-Services Editions suggests it may have been 25,000 copies of each book. 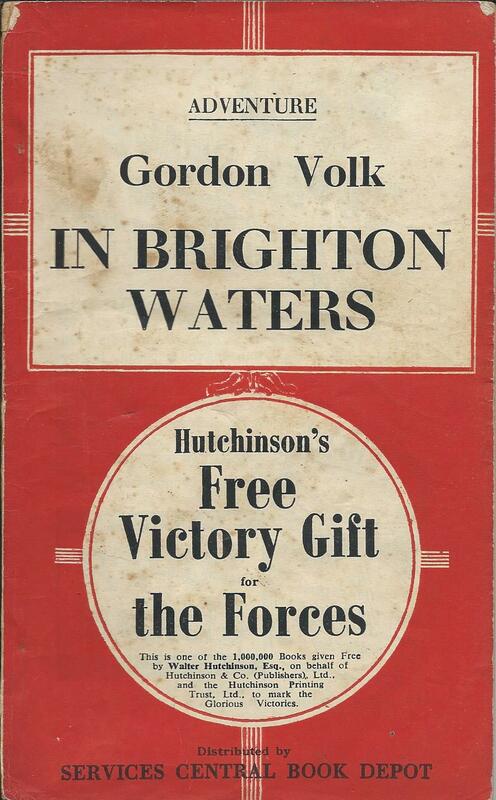 For instance the Services Edition of ‘In Brighton Waters’ by Gordon Volk says ’52nd thousand’ on the title page, while the Free Victory Gift edition of the same book says ’27th thousand’. As well as the paperback editions, several of the books are also found in a simple red hardback format. 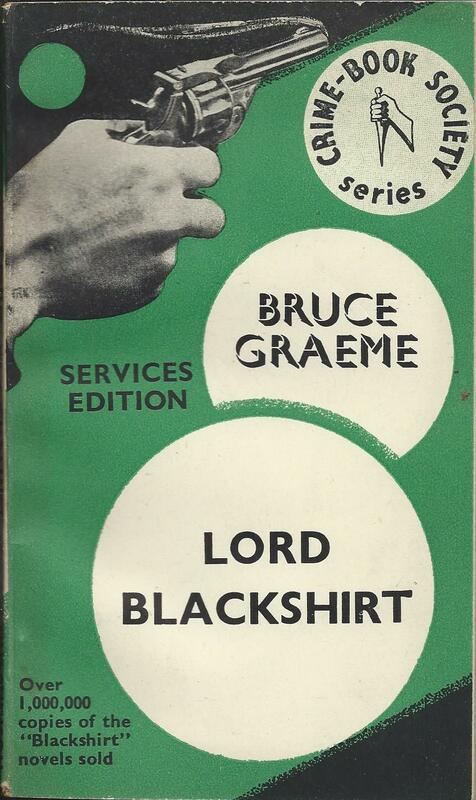 This was probably produced by the publishers, although it could have been added later by the Services Central Book Depot, or some other agency. I’ll look at the Free Victory Gift series in a separate post. The sting in the tail from Hutchinson though, is that I have a single copy of a Crime Book Society Services Edition, which comes from the Hutchinson Group, but is not in the standard format or included in any of the standard lists of books. Was this a one-off, or are there others out there waiting to be discovered? Albatross had many significant achievements to its name in the years from 1932 to 1939. Its books were widely recognised as a design classic and in many respects became the model for Penguin Books, it achieved commercial success and an effective takeover of the old-established firm of Tauchnitz and it published for the first time in Europe many significant novels that went on to become classics. Even surviving, as a firm with a Jewish owner and Jewish managers, was an achievement in Nazi Germany. 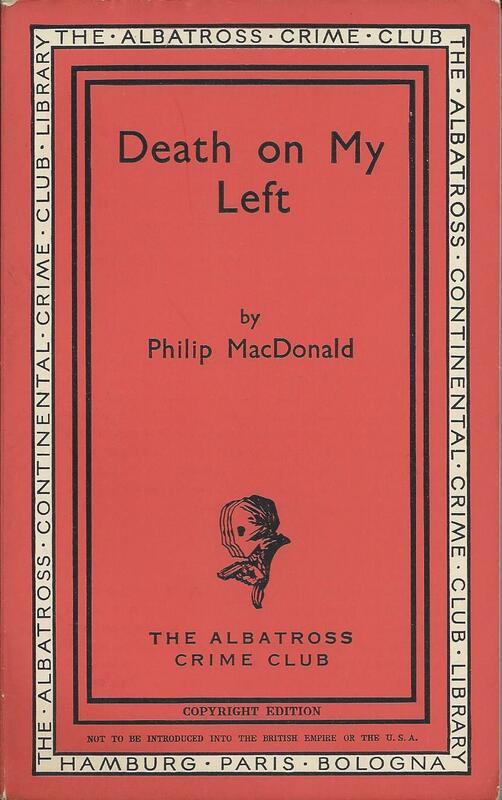 But it had another ace up its sleeve as well – The Albatross Crime Club. This was a direct offshoot of the Collins Crime Club in the UK, facilitated by the presence of Ian and William Collins on the Albatross Board of Directors. Collins had become almost the godfather of the Golden Age of detective fiction with their series, launched in 1930. The Collins Crime Club though was essentially a mailing list rather than a book club. Members paid nothing to join and had no obligation to buy the books, which were sold through bookshops in the normal way. But they received a quarterly newsletter and by 1934 the Club boasted 25,000 subscribers. So an extension into continental Europe through Albatross must have seemed attractive to both parties. 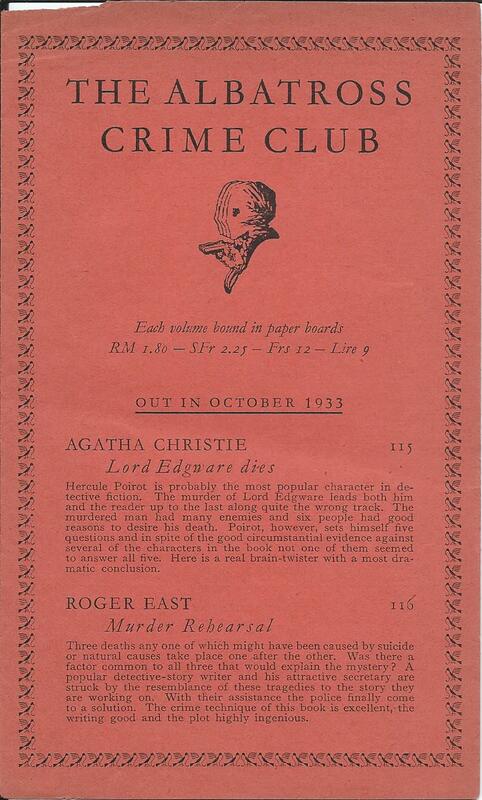 The new series launched in 1933, so there was already a sizeable back catalogue of titles in the Collins Crime Club to choose from, but in practice the first batch of titles (from 101 to 114) were all ones that had been published in the UK within the previous year or so. 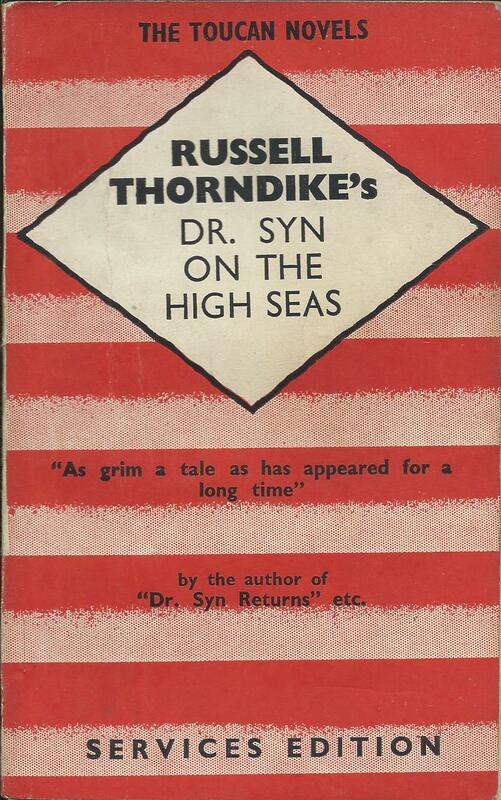 This went against the usual practice at that time, almost always enforced, that a continental paperback edition had to wait at least a year after first UK publication, to avoid eating into sales of the UK hardback. 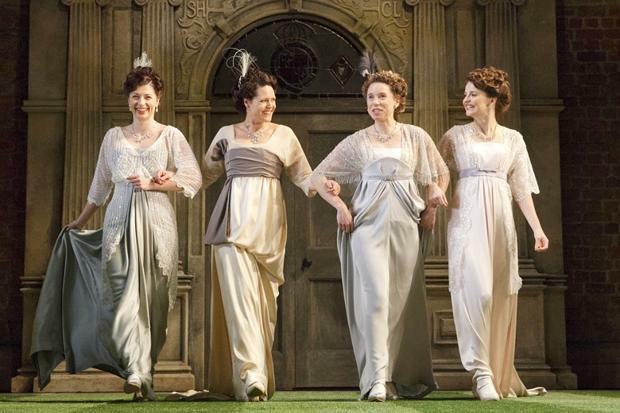 Presumably the close relationship with Collins allowed them to override this. So continental readers in 1933 had access to such recently published titles as ‘The ring of eyes’ by Hulbert Footner or ‘The motor rally mystery’ and ‘The Claverton mystery’ by John Rhode. Pride of place though went to Philip MacDonald,who had three titles in the first batch, with ‘Death on my left’ (volume 101), ‘R.I.P.’ (vol. 109) and as Martin Porlock, ‘X v Rex’ (vol. 107). 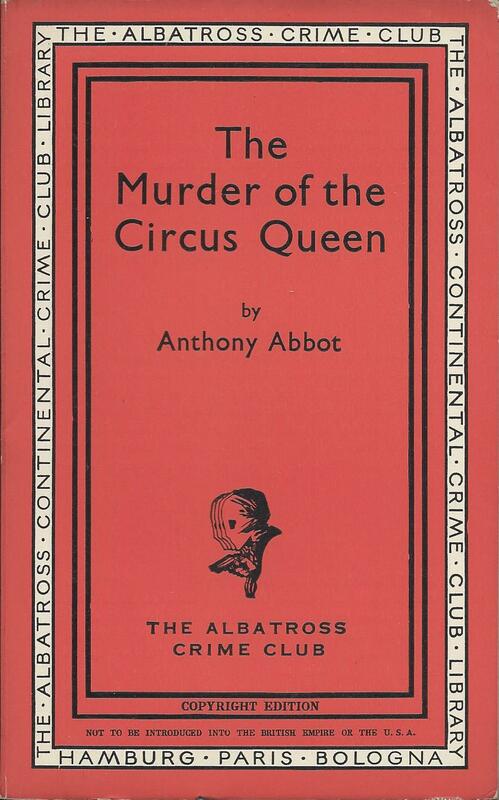 Over the next 6 years through to the outbreak of war, Albatross published a total of 109 Crime Club titles, gradually bringing in most of the authors who had appeared in the Collins Crime Club. There were 14 titles by Agatha Christie, although even she had to take second place to Cecil John Street, with a total of 17 under his two pseudonyms of John Rhode and Miles Burton. Most of the books that appeared came relatively quickly after UK publication, and in most cases they are not only the First Continental Edition, but also the First Paperback Edition. 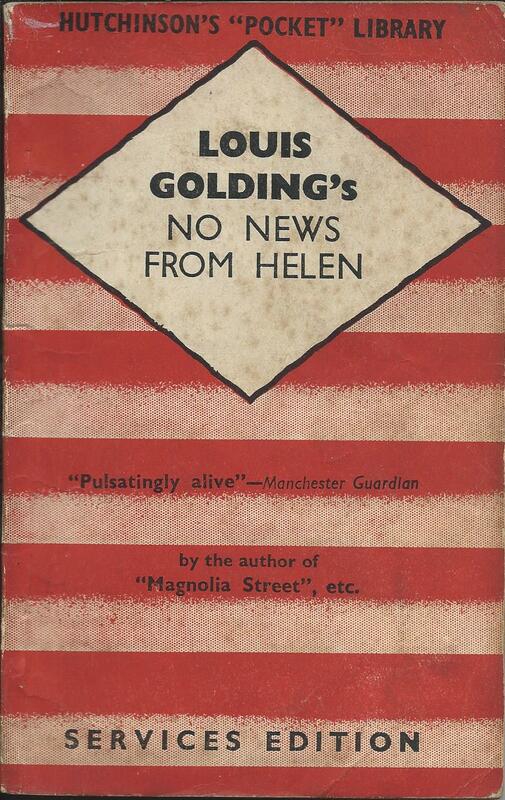 Collins didn’t start to sell paperback editions themselves until the launch of their White Circle series in 1936, and even then they usually left a longer gap after publication of the hardback. 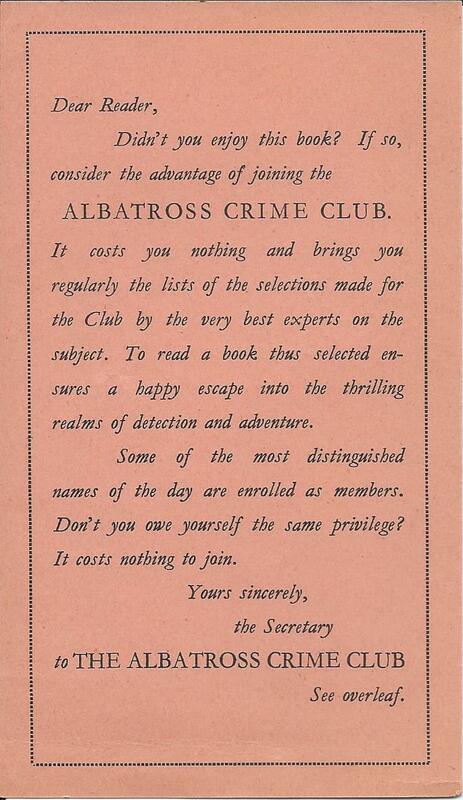 As with Collins, the Albatross Crime Club was really just a marketing device and mailing list rather than a real club. I have never seen any evidence of newsletters for club members, although I do have a copy of one flyer about new titles that might have been sent out to the mailing list. I’d love to hear of, or see, any evidence of other marketing materials. 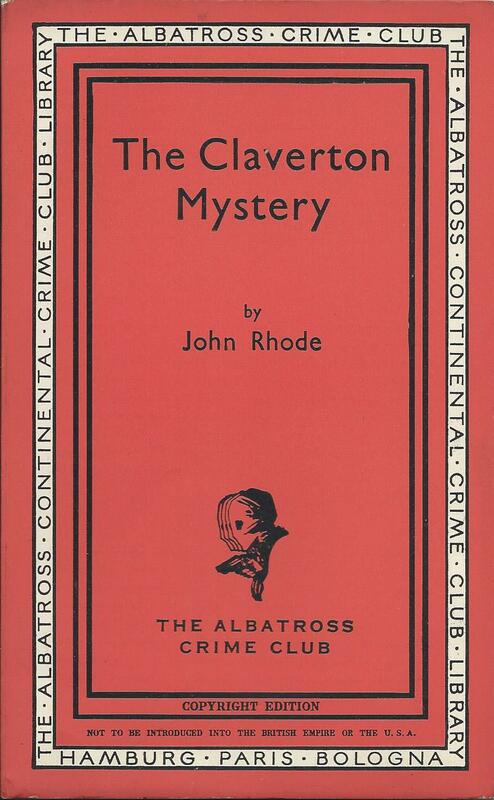 From 1937 the Crime Club was joined by the Albatross Mystery Club, again publishing books previously published by Collins, and a further 23 books were included in this series before war intervened. 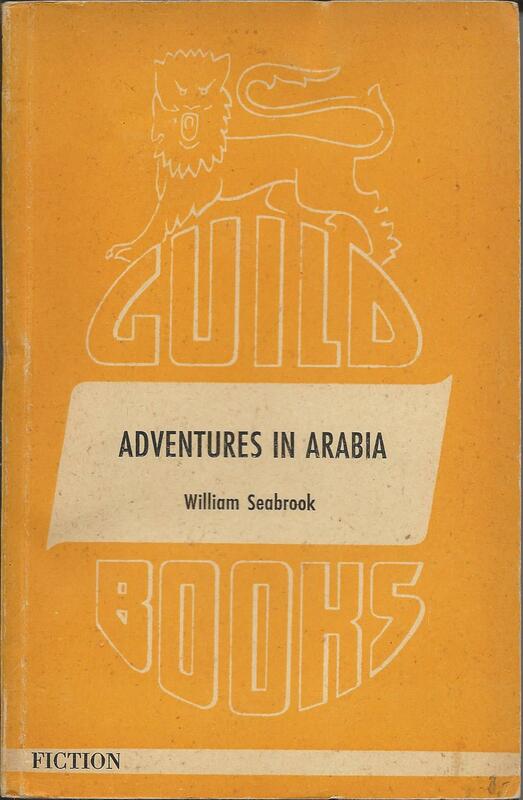 There were also crime and mystery books not coming from Collins that were published in the main Albatross Modern Continental Library. Both of those developments though are a story for another day. When World War II broke out in 1939, the combined Albatross / Tauchnitz enterprise was in a difficult position. For Tauchnitz it was the second time in 25 years that its Government had declared war against its authors and many of its customers. The firm had barely survived the First World War, and was to find this one even more difficult. The business had already struggled for several years with difficulties caused by the rise of the Nazi party in Germany. The principal owner of Albatross was Jewish, as was Kurt Enoch, one of its directors. John Holroyd-Reece, who led the firm, had been determined as half-Jewish by the German authorities. The problems of the firm with the authorities during the period before and during the war have been meticulously researched by Michele Troy at the University of Hartford, who published some of her findings in volume 10 of ‘Angles on the English-speaking world’ (Museum Tusculanum Press, 2010). Holroyd-Reece did what he could to continue the business of Albatross after the outbreak of war, but had to flee Paris when it fell to the Nazis, and the firm was effectively left under German control, with the installation of a Nazi trustee in Leipzig, Walter Gey. Rather surprisingly, it continued to sell significant numbers of books in English even into 1943, while Tauchnitz (owned by its printer, Oscar Brandstetter) developed a new series of German language books. But the noose was tightening. Albatross was denied paper rations in 1941, followed by restrictions on sales outside the German Reich and then in 1943 new rules limited sales within the Reich to schools and ministries. One of the fruits of this seems to have been a collaboration with the French publisher ‘Editions du Chêne’. 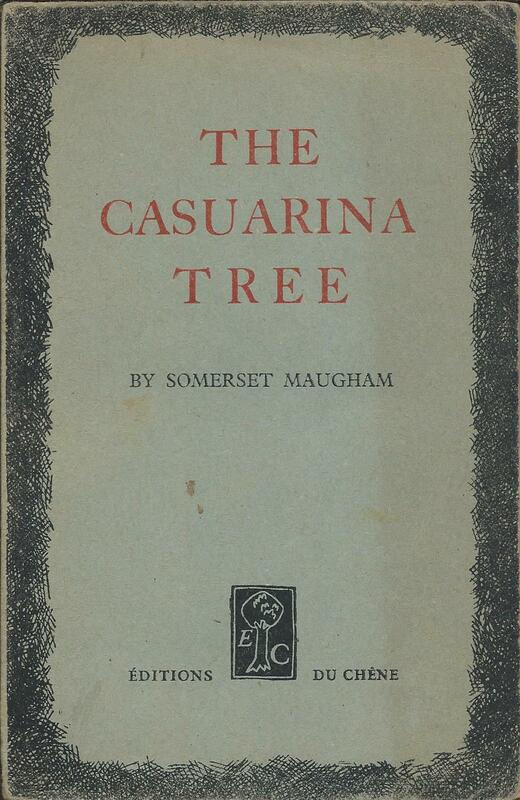 The first of these books I have come across is ‘The Casuarina Tree’, a series of short stories by Somerset Maugham, previously published as Tauchnitz volume 4842 in 1928 and reissued in ‘Editions du Chêne’ with a date of 1942 on the title page. A note on the half-title verso says the edition ‘is published with the permission of the owners of the continental rights, The Albatross Verlag, Leipzig, and is intended for the students in French schools’. The reference to Albatross is slightly odd, particularly as the title page then refers to Copyright Bernhard Tauchnitz, Nachfolger Brandstetter and Co., Leipzig. Even if Albatross rather than Tauchnitz did hold the rights, Michelle Troy’s research suggests that shareholders had transferred the rights held by the Albatross Verlag to Albatross Ltd. in London shortly before the war. But this was no time for paying attention to such niceties. 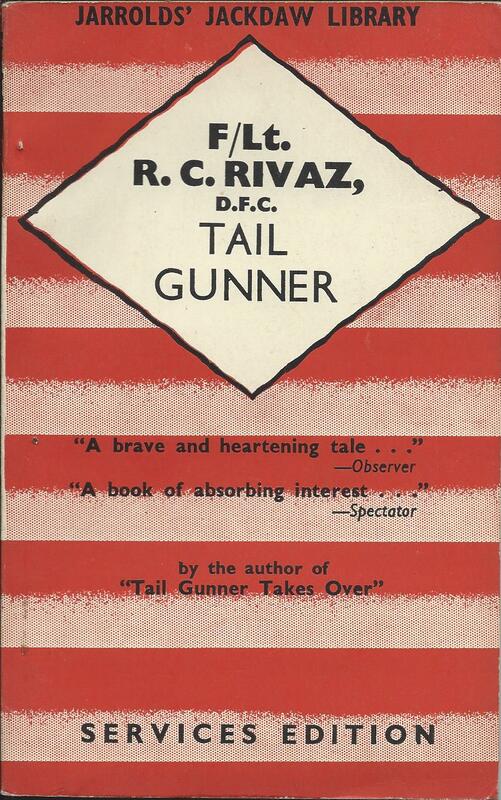 This first book was followed by at least four more in the same series, three of them dated 1943 and one 1944, and two of them referring to Tauchnitz rather than Albatross as holder of the rights. 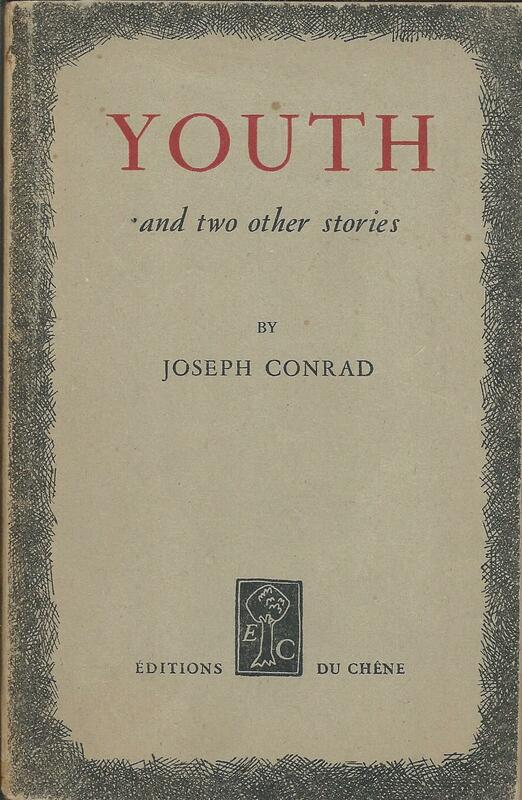 The last book ‘Youth and two other stories’ by Joseph Conrad, although dated 1944 on the title page has another date of 10th September 1945 at the back. This puts publication after the end of the war in Europe and long after the liberation of Paris. Presumably by then the permission given previously by a Nazi controlled company for publication of the book was of limited relevance, but I don’t suppose anybody much minded. A trip to London with young nephews and niece was a good excuse to see the musical version of Charlie and the Chocolate Factory. It’s been running for over a year now and is on to at least its second cast, but it’s still packing them in and you can see why. The show is really all about the special effects, and some of them are pretty amazing. 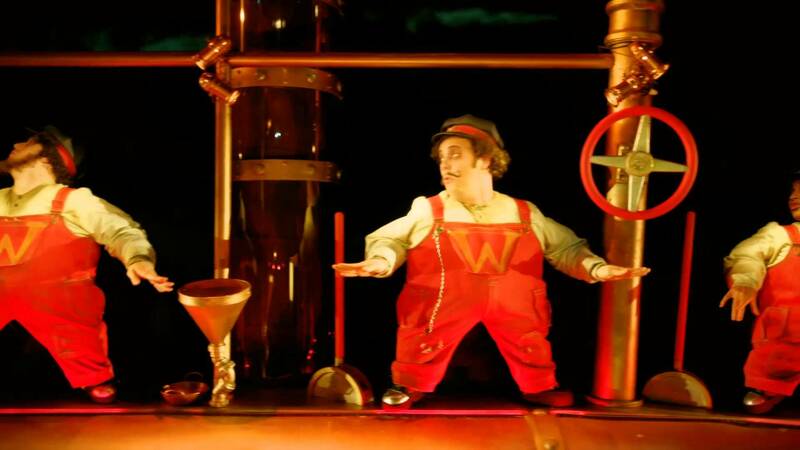 The Oompa Loompas are great, in a variety of different guises, the glass lift is magical, the stage set generally is impressively high tech and the shrinking of Mike Teavee is an absolute triumph – rapturously received at the performance I saw. Even one of the less high tech effects, the simple flying off of a paper aeroplane, is quietly impressive. The music and the songs are a bit of a mixed bag. There was too much amplification in places, making some of the lyrics difficult to follow, and the only ones that really stuck in the memory were ‘If your mother were here’ (a duet for Charlie’s parents) and ‘Don’t ya pinch me, Charlie’, both at the end of the first Act. By then the action was beginning to drag a bit as we reached the hour mark and still hadn’t even met Willy Wonka (other than a disguised version of him posing as a tramp) or seen inside the chocolate factory. 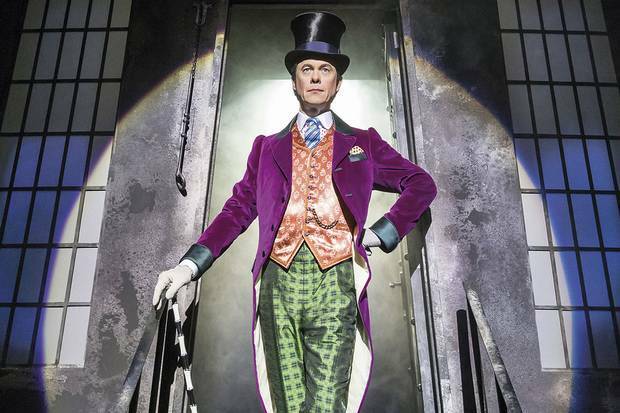 The arrival of Alex Jennings as Willy Wonka just before the interval did liven things up though and I thought he got the character just about right, with always a hint of menace as well as of magic. And the inventiveness of the Oompa Loompa routines in the second act was marvellous and kept the action moving along much better. All the children in the audience certainly loved it and even the adults were pretty impressed.